what has been and caring for the things that make this area special. what can be and responsibly building a path to the future. what we do and how it benefits our friends and neighbors. Welcome to Rancho San Gorgonio. 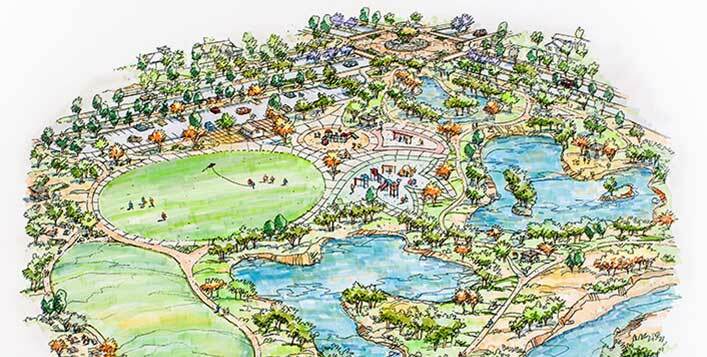 The RSG Specific Plan is designed to fulfill the City of Banning’s growth objectives by creating a planned community that responds to the natural features of the site, with new and creative park amenities, while providing a variety of new housing opportunities for the area. The plan is organized into 44 planning areas (PAs) that include a variety of residential housing options, with public parks, open spaces, walking and riding trails, an elementary school site and a neighborhood commercial area. 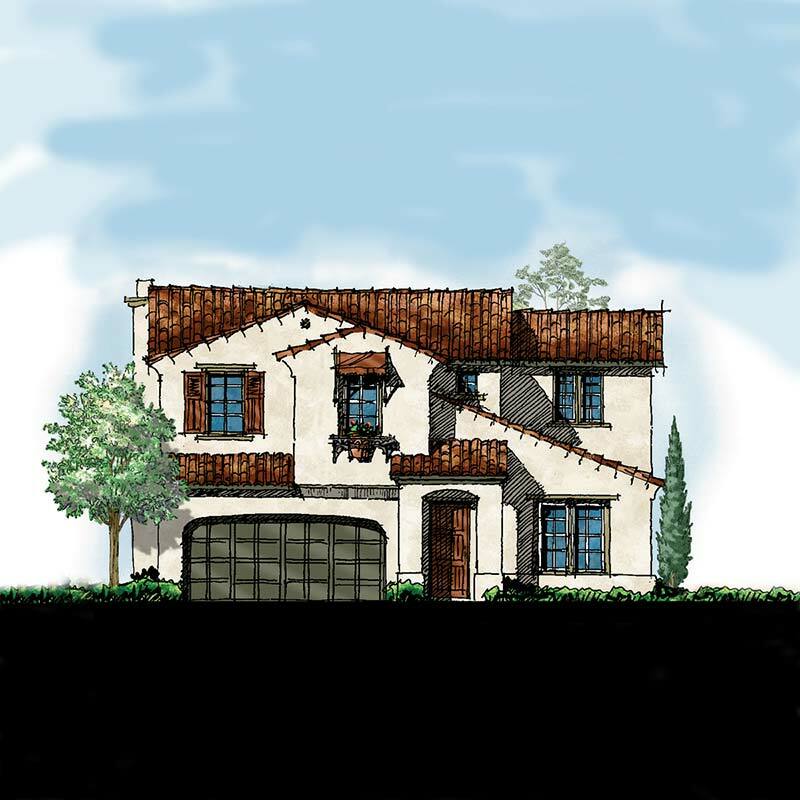 Every detail has been thoughtfully planned and designed to provide a healthy, safe and exciting life for new homeowners and the citizens of Banning. 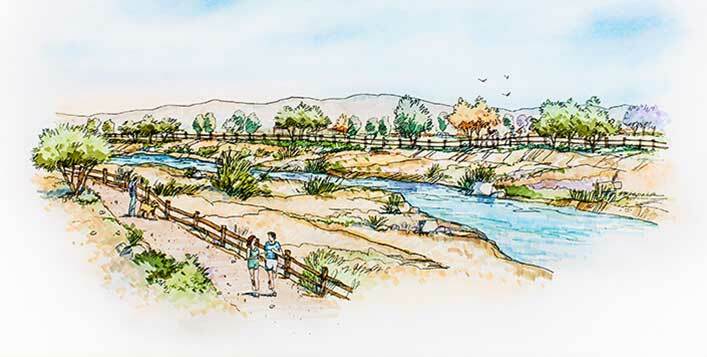 Parks and paseos are a feature of the community and buffer the converging Smith and Pershing creeks, while providing walking, riding, equestrian and vehicle access throughout the community. The RSG Specific Plan features distinct Village neighborhoods which can be easily accessed by pedestrians through the unique paseo trail systems. Throughout the master plan you will enjoy the use of the area's natural elements. Proposes a variety of residential opportunities including single-family detached homes, detached cluster residences, and multi-family dwellings. 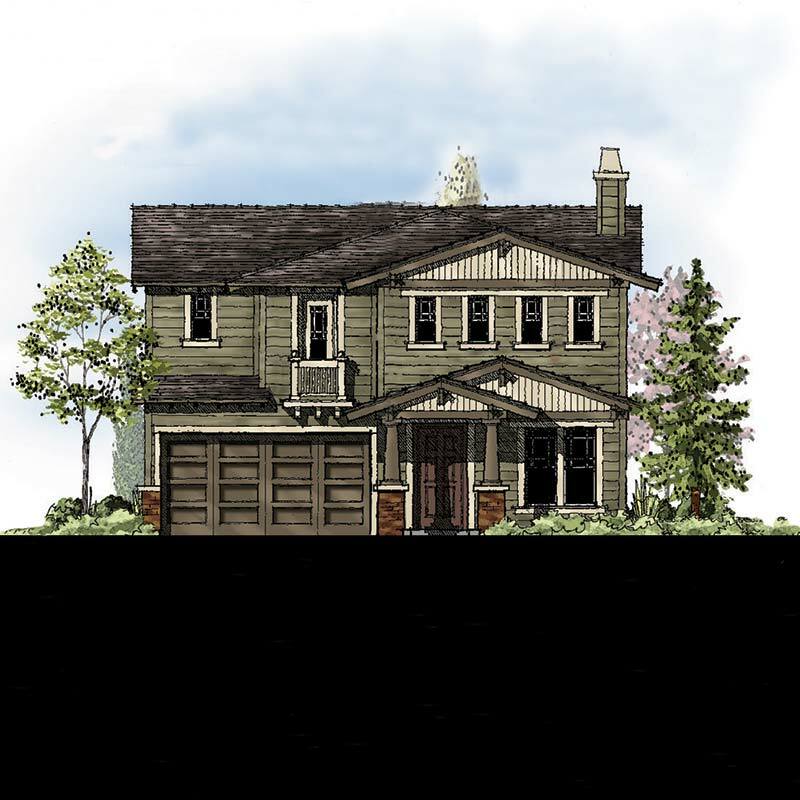 The variety of residential uses provides housing for all segments of the community in a master planned environment. The proposed RSG Specific Plan responds to the City of Banning’s vision and objectives by providing a desirable high-quality planned community. The mix of residential, commercial, open space and recreational opportunities provided by the RSG Specific Plan is organized by the natural character of the land. Situated between the San Bernardino Mountains, including Mount San Gorgonio, and the San Jacinto Mountains, the Specific Plan provides a design concept that responds to the physical, social and emotional needs of local residents. Infrastructure improvements including roadways, drainage, sewer and water improvements have been identified and sensitively incorporated. The complete project specific plan is available to you at anytime. The Rancho San Gorgonio Specific Plan area is located within the City of Banning and its immediate Sphere of Influence. The City of Banning is within Riverside County and the San Gorgonio Pass area, an east-west trending valley situated between the San Bernardino and San Jacinto Mountains. 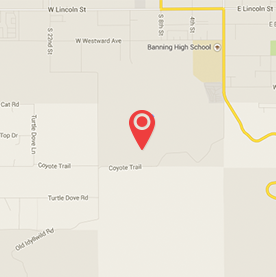 The property is located within the south side of Banning, 0.4 miles south of Interstate 10 and generally bounded by Sunset Avenue and Turtle Dove Lane on the west, Coyote Trail and Old Idyllwild Road on the south, San Gorgonio Avenue (State Route 243) on the east, and portions of Westward Avenue to the north. 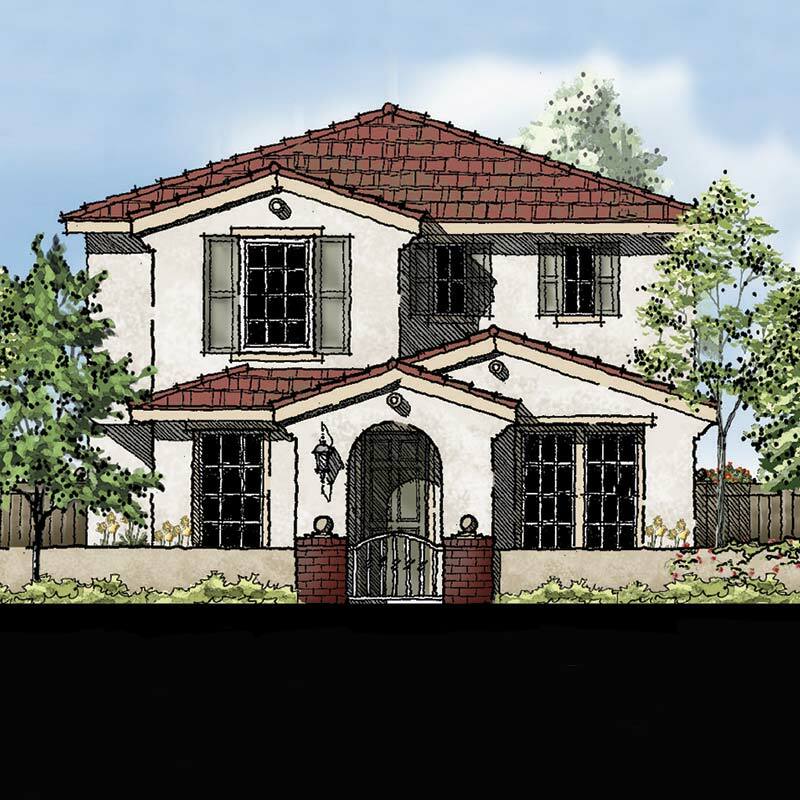 The site consists of approximately 831 acres of land, of which approximately 670 acres are presently located within the existing corporate boundaries of the City of Banning. Approximately 161 acres are located in the City’s adopted Sphere of Influence, and are subject to annexation to the City. 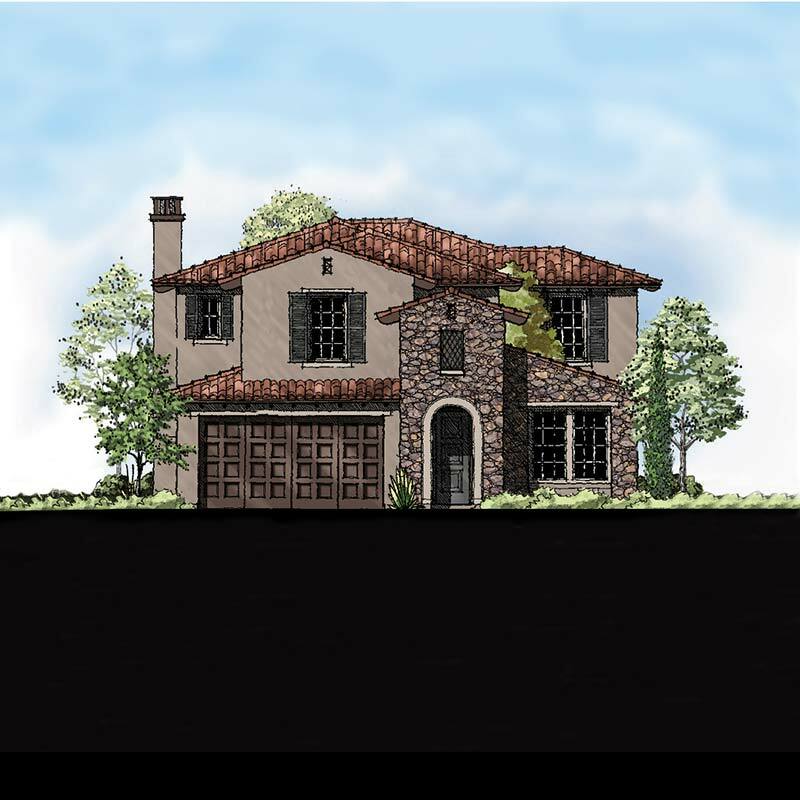 An application for this annexation will be processed by the Riverside County Local Agency Formation Commission (LAFCO). The 161 acres are presently unincorporated Riverside County; however, due to the adopted Banning Sphere of Influence, it is recognized as a potential part of the City in the future. The project site is located in U.S. Geological Survey (USGS) 7.5-minute series Beaumont, California quadrangle in Sections 16 and 17, Township 3 South, Range 1 East, in northern Riverside County. The common ownership of the San Gorgonio Specific Plan property includes all of the subject 831 acres, including the 161 acres that are presently outside of the current Banning City limits as noted above. 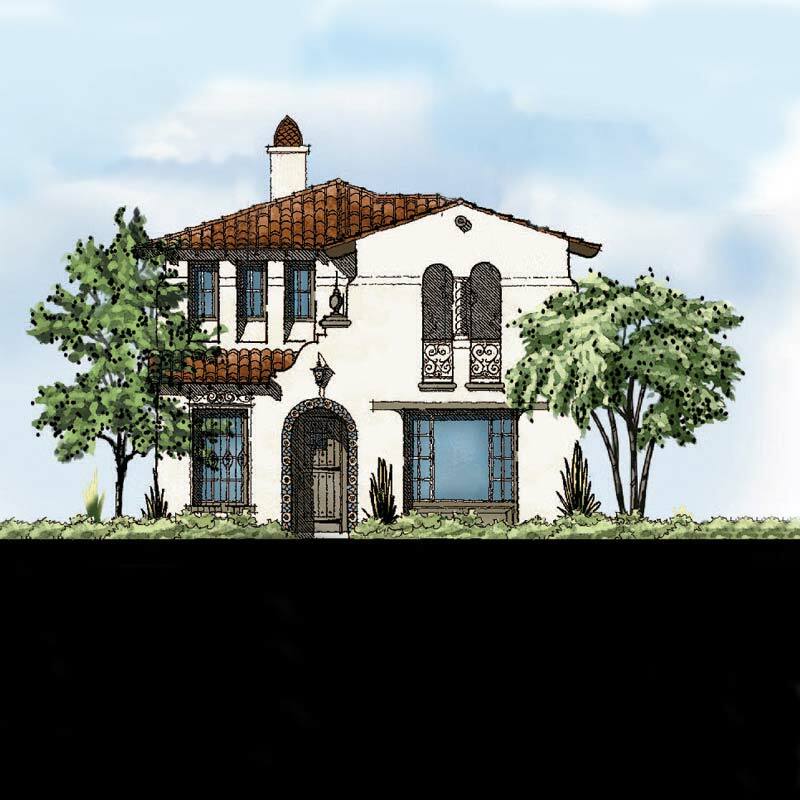 The 161 acres within the Sphere of Influence are subject to the Specific Plan when annexation of this property to the City of Banning is completed. The City’s adopted Sphere of Influence has been previously approved by LAFCO. 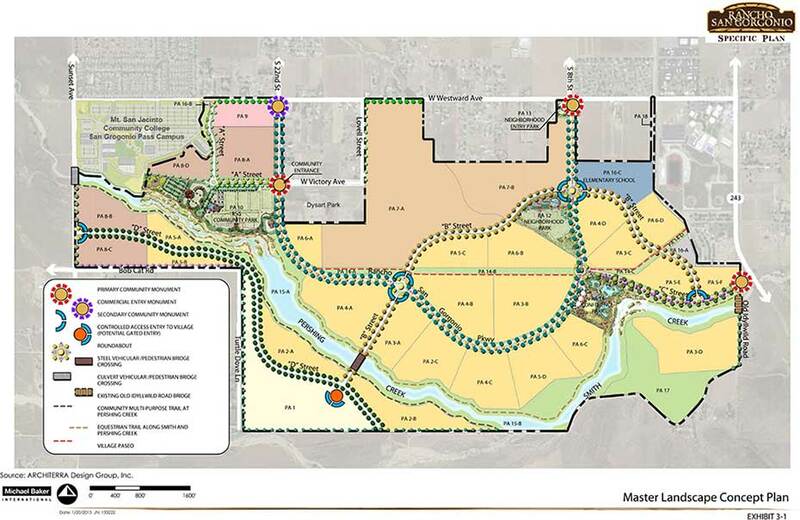 The Specific Plan area is all within the City of Banning’s General Plan Planning Area, including the 161 acres. From the very beginning Rancho San Gorgonio has always been sensitive to what’s in the best interest of the community, the neighborhood and city of Banning. Throughout the master plan you'll find sensitivity to the areas natural elements, heritage and culture. 210 acres are dedicated for park and recreational use. 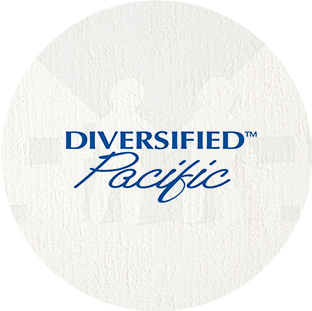 Diversified Pacific has been a proud part of the Inland Empire for over a quarter of a century. With a commitment to creating well-planned, family friendly and balanced neighborhoods, we have improved the quality of life and contributed to bettering the communities we have had the privilege of living and working in. This has been and will continue to be at the forefront of everything we do. We invite you to get to know us better, discover our communities in other parts of Southern California and find out what is planned for the future. Q. Will my property appreciate because of RSG? In all likelihood yes because RSG will attract new buyers and the planned community provides for new public amenities which will benefit all properties in the area. Q. What is the Rancho San Gorgonio specific plan? It is a detailed planning document which defines land use and design guidelines for a specific area. It is a commonly used planning document intended to govern a planned community of various uses. Q. Will I be able to vote on it? No. But you will be able to voice your opinion at public hearings held for that purpose. Q. Where can I get more information on Rancho San Gorgonio? Q. How soon will construction begin? Probably one year or so after final approval, but market conditions will dictate construction schedule and pace. Q. How will this benefit Banning? Master planned residential development brings new residents to the area. In addition, RSG will provide improvements to existing roads, build new circulation within the planning area, upgrade sewer, water and flood control systems, preserve open space, and create beautiful new public parks. Q. How long will it take to build? It could take more than 20 years, but development pace will be dictated by market conditions. Q. Will this impact my quality of life? We believe it will in many positive ways. Q. Will this be a boon to the local economy? Yes, because new residents bring economic benefits and opportunities for additional retail, service and professional businesses. Q. Will this lead to overcrowding and traffic congestion? No. A detailed Traffic Impact Analysis, or TIA, has been prepared which describes existing street widening, signalization and traffic improvements whose construction will be phased in with the pace of development. Q. Will the development be in harmony with Banning’s identity? 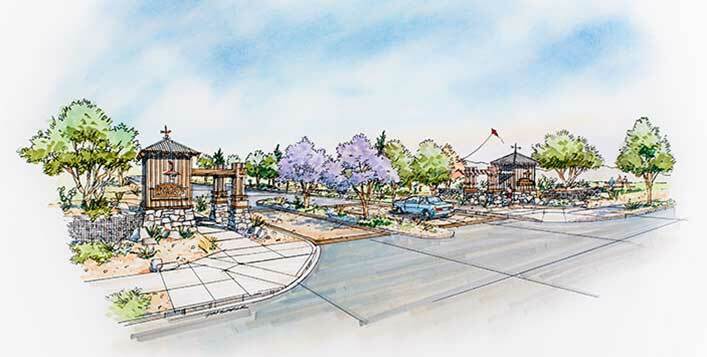 RSG is themed to respect and enhance the “old California Ranch” feel of Banning and the Pass.The design of RSG’s parks , community signage, entry monumentation, public facilities, and architectural styles are all intended to support this design theme. © Rancho San Gorgonio / Diversified Pacific. All Rights Reserved.